How do you fix Wi-Fi connection after Windows 10 update? I am sure all of us want to our Windows 10 operating systems to run the latest updates available. As a quick reminder, the Window 10 April Update is the newest OS release available and Microsoft is already preparing to launch a new Windows 10 version this fall. Seeing that some Windows 10 users have WiFi connection issues after updating to the latest OS version, I have decided to explain you what are the steps to take in order to fix your WiFi internet connection in Windows 10 and get back to your everyday work. 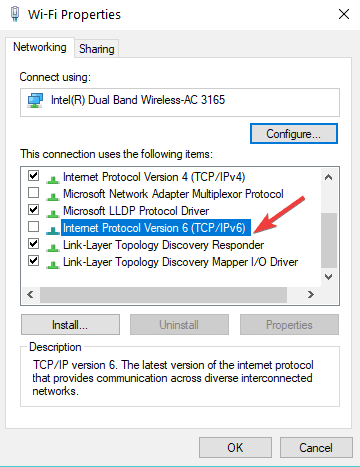 I can tell you that there is a very easy fix for the WiFi internet connection issues for Windows 10. After you install the updates, some of the network settings yo had with Windows 8.1 or a previous build of Windows 10 got changed. More exactly the option for IPv6 is now checked and this is one of the reasons as why the internet connection has stopped working. Before proceeding with this step-by-step guide, you must take into account that the issue could be caused by an outdated driver. Therefore, we recommend you to download this tool (100% safe and tested by us) to automatically update all your drivers. Left click or tap on the WiFi icon you have present in the lower right side of the screen. Left click or tap on the “Open Network and Sharing Center” feature. Now you should have a Network and Sharing Center window in front of you. 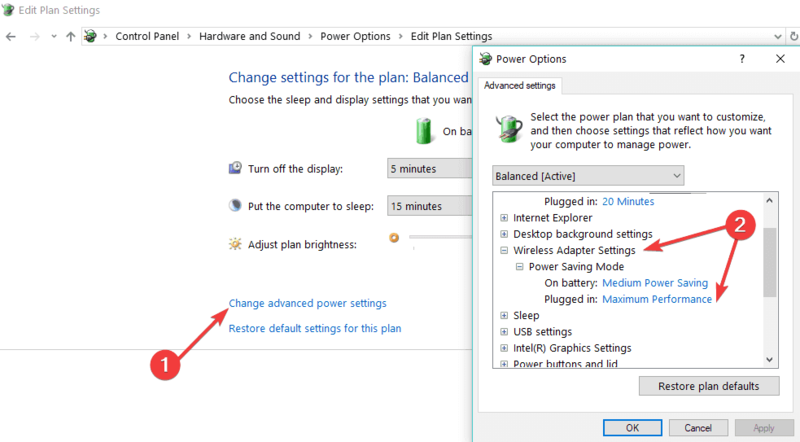 Left click or tap on the “Change adapter settings” link situated in the left side panel of the Network and Sharing Center window. Look for the connection you have to the internet and right click on it or just hold tap if you are using a touchscreen device. From the menu that appears, you will need to left click on the Properties feature. In the upper side of the Properties window, you will need to left click or tap on the “Networking” tab. Search for the IPv6 option. Remove the check-mark from the IPv6 option. Left click or tap on the “OK” button to close the window. Right click or hold tap on the “This PC” icon. Left click or tap on the “Properties” feature from the menu that shows. Left click or tap on the “Device Manager” link situated in the left side panel. Now you should have the “Device manager” window in front of you. 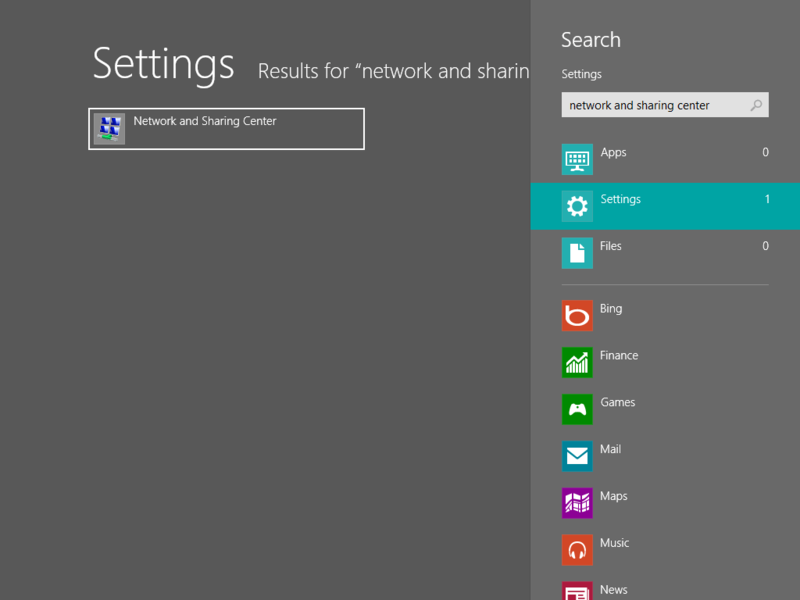 On the left side panel you need to search for and expand the “Network Adapters” icon. Look for your wireless adapter in the list and double click it or right-click on it and go to Properties. 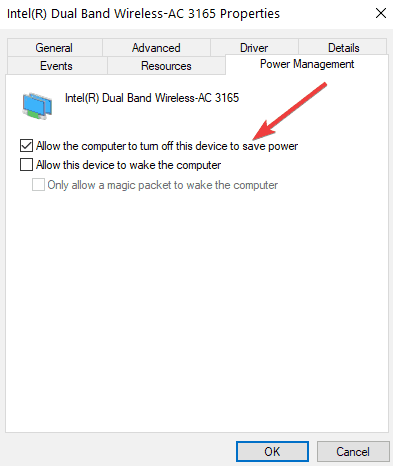 Left click or tap on the “Power Management” tab situated in the upper side of this window. Left click or tap on the “OK” button to save the changes here. Close every window you opened so far. Left click or tap on the “Control Panel” feature present in the menu. In the Control Panel window left click on the “Small Icons” feature. Search for “Power Options” and double click or double tap on it to expand it. 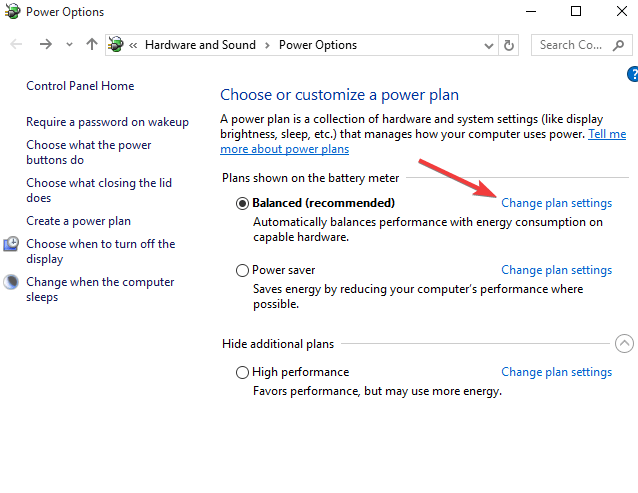 Left click or tap on the “Change plan settings (for the selected Power Plan)” feature. Now left click or tap on the “Wireless Adapter Settings” to expand it. Go to the Power Savings Mode option. In the Power Savings Mode select the feature “Maximum Performance”. Left click or tap on the “OK” button to save changes. Close the windows you opened so far. Reboot your Windows 10 operating system. After the device starts check if your WiFi internet connection is working properly. Another quick way to fix Wi-Fi connectivity issues after Windows 10 updates is to run the Internet Troubleshooter. To do this, go to Settings > Update & Security > Troubleshoot > select and run the tool, as shown in the screenshot below. And now you can surf the internet as you wish because after following the instructions above you got your WiFi internet connection back on your Windows 10 computer. If you have additional questions related to this subject, you can write us in the comments section below and I will help you further as soon as possible.